Aruba hotels. - Hotel videos, user reviews, cheap booking! Showing 1 - 10 of 141 best hotels. | Sorted by rating. Located a 5 minute drive from Eagle Beach in the district of Matadera, these apartments feature an outdoor pool. Free Wi-Fi is provided in every room. Cariña's Bungalow and Studio Apartments is ideally located in Palm Beach, Aruba, within a short walk of beaches, bars, restaurants and popular shops. Hooiberg House features a sun terrace with swimming pool, a garden and free Wi-Fi throughout. It is located on the slopes of the Hooiberg Volcano and 5 minutes’ drive from Nikki Beach. Located on the edge of Arikok National Park, Fuego Mio Bed & Breakfast offers an outdoor pool, sun terrace, TV lounge and free Wi-Fi. Eagle Beach is a 20-minute drive away. Coral Reef Beach is located along Aruba’s Caribbean coast in Savaneta and features an excellent location for outdoor activities like snorkeling and windsurfing. It has free Wi-Fi. 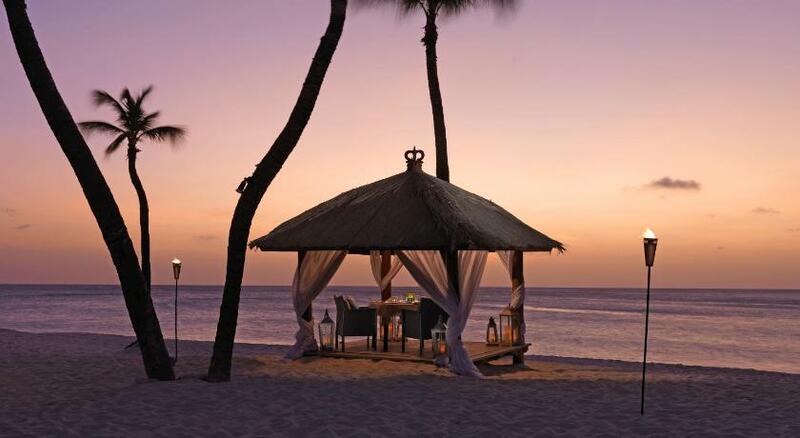 This hotel is on the beach in Palm Beach, Aruba. The hotel features an on-site casino, a spacious outdoor pool with lazy river and a restaurant. Just 650 ft from the famous Palm Beach, Boardwalk Small Hotel Aruba is a former coconut plantation featuring landscaped tropical gardens and an outdoor pool. In Palm Beach, this hotel is within walking distance of the beach, restaurants and malls. It features an outdoor pool, a terrace and a daily continental breakfast. 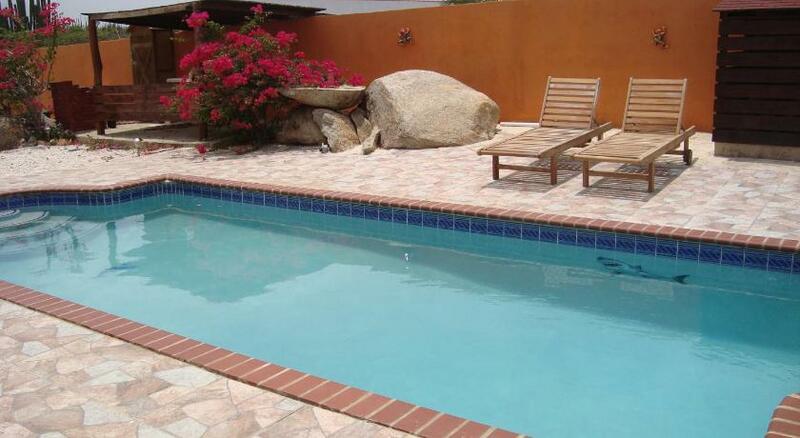 Just a quarter mile from the seafront in Malmok, Aruba, this Dutch-style villa features an outdoor pool, terrace and tropical gardens.